With us, you don’t have to wait to get your quote. Simply ask for one by email or live chat, and we’ll send it to you by email in 5 minutes! Quotes and questions are free! Feel free to ask us anything about our services using the instant live-chat feature! We provide quality translations for any type of document, software or website. Need it to be a notarized translation? We can do that too! Universal Translation Services is ready to be of immediate assistance in regards to your translation project. We cater to clients wherever on the globe they may be. At the same time, we make sure we produce precise translations as quickly as possible. Use the form below for a free translation service quote. Don’t you just love to get an Online Quote in minutes? Save precious time by asking for instant quotes via this website. We provide high quality translations. Our professional translators are categorized as experts in their respective native languages. Not only do we perform translation but we also specialize in rigorous website translation services. Any type of translation is possible. We offer translation services covering various document types. Saving time and money is also possible when clients opt to utilize our memory services. Clients can also avail themselves of our services to build a terminology list. 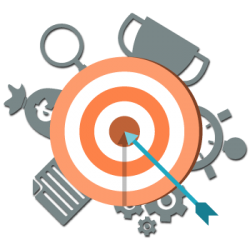 We have a team of software localization experts at hand if you need to have your software or app localized to a specific market. We can provide excellent website translation services and we have in-house web engineers and specialists which will add the translations to your website directly so you don’t have to. Use our quote form to get in touch. We are able to provide translations for any field, from and into any language. For businesses we also provide website translation, software localization and multilingual SEO services. For individuals, we can help you with translation for immigration in the US, be it certified or notarized according to your needs. Along with your free translation service quote we will indicate a delivery date and time. If you accept our quote, your translation will be delivered at that time, usually even faster. We are one of the fastest services because we use a state of the art translation management system which allows us to instantly communicate with our over 3,000 translators. Others charge insane rates, and additional services could cost you even more. If you need rush translation, or a translation done over the weekend, you’ll usually pay extra. With us, you don’t have to worry about that. First, we have one of the lowest rates in the industry, and second, there are no rush rates. All our translations are of the highest quality despite our prices. You can contact us by using the form below and send us the document. We understand that when filling in a form it will always take time to respond. It also has become a little of the old fashioned way. You can use our online 5-minute quote and get a quote from us in 5 minutes. You can use our live chat quote. You can send us the document live and we shall give you a live quote and deadline. If you are interested we can send you the same quote through our system and then you are one click away from getting your translation done. Another option when you are in need of certified and/or notarized translation is to use our notarized and certified translation tool. You can easily calculate the price it will cost for you to get your notarized translation done and one step further you can place an order. Simple, Fast and Affordably priced. Start to use one of the options and you will see the new way of receiving an instant quote. Getting a quote from us is easy and only takes a few minutes. Get in touch now! How convenient have our lives become with this magic machine called computer and an ultra-magic thing called, The Internet? We now are clicks away from the world out there. Hence we at UTS thought of taking better advantage of it for facilitating our valued clients. We can be accessed with a few clicks from the comfort of your home. With our impeccable services, you can get a rapid response and instant translation quote. We provide instant quotes for free. You just have to ask for one. We also entertain queries if you have any. Our live chat feature has been added for this very purpose and we are available around the clock. You have to adhere to certain prerequisites after which a quote will be formulated and sent your way within few minutes. Upon your acceptance, payment procedure is carried out. Once done, we take charge from there on and assign 3 native translators for the proposed language, who then carry out the task smoothly and efficiently, meeting your requirements. You are required to mention following things for the commencement of the process. Your essentials – mention your name, email address and we will get back to you in minutes. Languages – mention the source language you are providing the document in and also the targeted language in which you want it to be translated. Document type – include the details about the type of document you are sharing. It could be business or technical, immigration, birth certificate, death certificate or any other type. 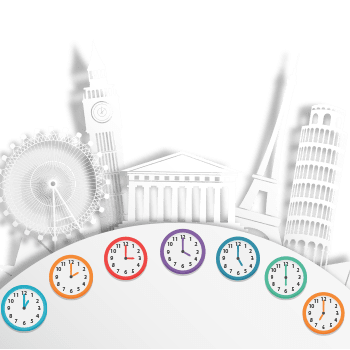 Timeframe – let us know when you want the task to be completed, either on an urgent basis or relaxed or whichever just specify the time duration and be assured that we beat the deadlines no matter what. Notarization – in this part you have to mention if it is necessary for the document to be notarized or not. Get your 5-minute quote now! What should be included in an online translation quote? When you select a translation service provider several aspects should be taken into consideration. But, one of the most important of them is the translation price. Translation companies are aware of it and it is common they offer a free quote. Translation providers use this moment to compete and take advantage of this request to promote their services with potential clients. But what exactly a quote for translation services should have? There is not a fix formula to prepare a quote. 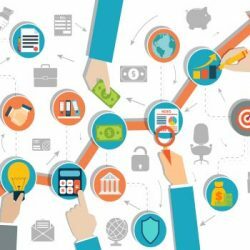 Although it is obvious it should include the price of the services, there are also other conditions of the service that providers must inform in advance. It might avoid future disagreements between clients and translators. Criteria to calculate the prices: there are different methods to calculate prices. Some translation providers use the word count, others use a price per page. In this sense, prices may vary from one translator to another. 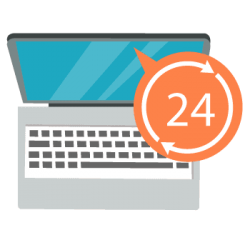 Turnaround time: it is common that people who request translation quotes have deadlines. Translated documents must be usually submitted to any institution and they set those deadlines. In this sense you should verify that providers are capable to deliver their results. Mention additional services: this a perfect time for translation providers to promote their services. This is also the best time for potential clients to verify if they can get all they need. Sometimes translations must be certified or notarized and providers should include this type of information. Payment methods: it is important to know in advance what method they accept for payment. It allows you to check if you have access to it for the moment the translation is ready. It is common that providers accept several methods such as money transfer, credit card and others. The quote for translation services should be reviewed carefully before accepting it. The project managers should be also available to answer any question related to it. How to get online translation quotes in 5 minutes? At Universal Translation Services, our motto is to deliver excellence with convenience to our clients. The online translation quote is also one such service of our company that provides an even better experience for our users. Primarily, when clients ask for a quote for translation services, they want to compare prices in the market and we want to give them a fair chance to do so. This is why we educate our staff members and project managers to assist the clients in the most professional way, specifically when the quotes are being requested. With more than 16 years of experience in the field of multilingual translation, our idea and policy on pricing and quotes remained the same; the top priority is, had been and will always be the same, provision of the right value of the client’s money and time. Our systematic approach has credited us with success and prestige in the industry, and we also gathered the trust and support of thousands of international clients. Generally, the quotes are being assessed and provided on the basis of the words included in the text that needs to be translated but we consider the requirements and concerns of the clients first. This is because in some cases there are situations which call for urgent assistance and other times, it could be about saving money. So we closely analyze both factors and derive the translation quotes accordingly. With our communication options available online, such as live chat and ask a quote, it is easy to acquire an online translation quote anytime. Are you one of those people who like to stay prepared for every upcoming expense, then our translation quotation is certainly what you need, in fact, you can literally count on us. In times where you need to sort your budget for different things, knowing the prices in advance eases out you a lot. Apart from that, you can also check out the prices for the best cost among different services. 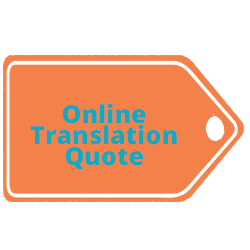 At Universal Translation Services, we not only offer you instant translation quotations to give you the prices of your project but also allow you to compare prices with other translation services providers. After all your hard earned money needs to be spent wisely. 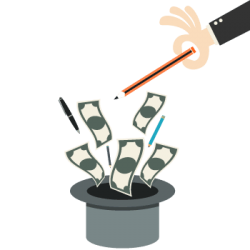 We guarantee you that our prices are the cheapest and we deliver high quality services by the most professionally successful translators, so you can stay assured that you have chosen nothing but the best. Need a quote for translation? Ok you may not need it for yourself but maybe for your friend in Malaysia, who is planning to get an admission in a university in the US. The scenario could be a little different but just imagine how much an instant quote can help people. We all have to do rationing on different items and every new expense is harder to adjust. This is why we think that having an instant quote for your upcoming translation project will not only allow you to manage the expenses, but will also give you the liberty to compare prices and quality side by side. Still wondering why we are the best option for all your translation needs? Well, at this point, we are certain that you do know that at your heart. With an international quality standard, multidimensional, multifunctional services, tons of languages and dialects, affordability and convenience, we are always looking to add more of anything that could enhance your ease. 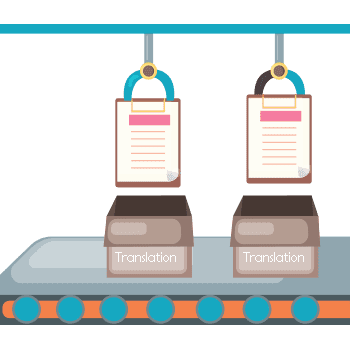 Universal Translation Services has spend long enough in the industry to understand the current needs of translation and you can stay assured that our translation service quotes are the best that you can get.